Police have appealed for help to trace a driver after a 66-year-old man was injured in a suspected “road rage” assault. Officers were called to Towngate, Leyland at around 5.50pm on April 22 after reports that a man had been assaulted. When they arrived they found the pensioner with injuries to his face. The victim said he had been driving on School Lane towards Towngate when a motorist, driving in front, stopped his car at the side of the roundabout junction. Both drivers got out of their vehicles before the offender punched the 66-year-old man in the face. The attacker then returned to his vehicle and drove away towards Golden Hill Lane. After the attack the victim was taken to Royal Preston Hospital where he was treated for a suspected fractured cheek. 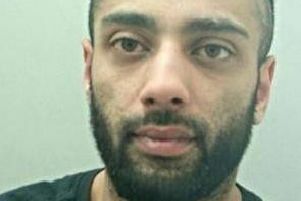 The offender is described as white, in his early 30s, wearing a blue tracksuit. It is believed he had a metallic blue car, with Volkswagen Polo black alloys and symbols. PC Stacey Sargent, of Chorley Police, said: “This was a violent assault which left a 66-year-old man with nasty facial injuries. “We believe the offender involved may have attacked this man following a driving dispute and we are keen to trace him immediately. Anyone with information can contact police on 101 quoting crime reference SC1602510. Alternatively Crimestoppers can be contacted anonymously on 0800 555 111 or online at Crimestoppers-uk.org.